Stephen King the master of horror delivers once again with his latest book, “Just After Sunset.” “…Sunset” is a collection of short stories that, as King states in the introduction to the book, allow him to exercise that little used short story muscle. Back in the day when he was writing, not to put food on the table, but to allow that extra check that turned out be nice to a then struggling family where his source of income was teaching high school English and summer jobs as a delivery driver or in a laundry. This book is basically his challenge to himself to see if he can still write the short story. “Just After Sunset” is a collection of 13 stories ranging from the romantic ghost story to the gross out kill-the-man-by-locking-him-in-a-port-a-potty-and-tip-it-over story. Each story is different but they all ring true of that Stephen King touch. He takes the what-if and makes it real, but usually in a scary or at least a haunting finish. In the back of the book Mr. King provides a story by story explanation as to why and how the stories evolved. Here’s a breakdown of the stories. The story of some folks that have just experienced a train crash and have been waiting for hours at the nearest depot for a back-up train to take them home. A man who wakes up from a nightmare of his wife being killed, and wanting to tell the wife. She doesn’t want to hear the story but knows she has to. A writer his headed home on the interstate and stops in a rest stop to relieve himself. As he enters the building he hears an argument and a man beating a woman. This is a what-would-you-do story that brings out the hero in all of us. A man buys a bike to become healthy and prolong his life but ends up crossing into another dimension. This is Stephen King’s story to help understand the after effects of 9/11. This is a heartwarming story telling what happens to one man that survived the bringing down of the twin towers in New York. Told in a way that only Stephen King could. Another Stephen King what-if. A girl celebrating her boyfriend’s graduation and contemplating her own future is witness to a sight that changes all future plans. When reading this story it may be helpful to play Pink Floyd’s “Two Suns in the Sunset” from the Final Cut album. A psychiatrist treats an OCD patient that developed his disorder after leaving a Stonehenge like structure. A great story about a hit man hired to kill a cat. A cell phone is the last connection to a wife’s late husband. “Pay it Forward” movie meets a psychic healer. This is the gross out story in the book, and my favorite. Two enemies from the rich part of society, one seeks revenge by locking the other in a port-a-potty and tilts it over and leaves him to die. Fun stories to read and all have that Stephen King touch to keep any fan happy. If you are not a typical Stephen King reader you’ll enjoy this also, a story for everyone. Being a Stephen King fan, I'm always jumping to be among the first to read his latest works, and in some cases like this to listen. 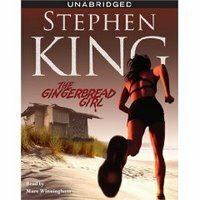 "The Gingerbread Girl" is a short story by Stephen King that was originally published in the July issue of Esquire magazine on June 15 of 2007. It will be included as the second entry in King's 2008 short-fiction collection "Just After Sunset." I missed the story when it came out in the magazine, but that doesn't mean I have to wait (or you either) until the release of the collection this November (2008). That's because, as King has done in the past, the story is released as an audiobook. So I jumped and got the audiobook and let me tell you it was worth it. Mare Winningham is the voice talent for the audiobook and she delivers the story with a punch. I think that not only is Stephen King the "Master of Horror" but he's also pretty high in royalty in the "What if..." scenario. His books can be pure horror like vampires in "'Salem's Lot" to werewolves in "Cycle of the Werewolf." But some of his stories also take the ordinary everyday situations and ask "What if...(it went in this direction)?" I think "Cujo" is a prime example of that. An average dog gets rabies...but what if he trapped a family in their car. Well, this story is one of those what ifs. What if you wanted a peek at your neighbor's and found a dead body? After her baby's sudden death, Emily starts running. Soon, she runs away from her husband, to the airport, down to the Florida Gulf and out to the loneliest stretch of Vermillion Key, where her father has a conch shack he has kept there for years. Emily keeps up her running. She always runs everywhere, running on the beach and on the roads, and she sees virtually no one anywhere. This is doing her all kinds of good, until one day she makes the mistake of looking into the driveway of a man named Jim Pickering. Pickering also enjoys the privacy of Vermillion Key, but the young women he brings to his home (referred to as his neices) are never seen leaving. And when Emily finds herself in the den of a madman, she will do anything she must to escape. The story is relatively short but full of tension, from the moment Emily looks into that driveway to the chase. I won't give too much away, but this is one book that gets the blood pressure up. Well I finally read the latest from Stephen King, the master of horror. Actually I would say Mr. King is the Master at taking something pretty plain and making it downright horrifying. In "Duma Key" he goes even further and takes something extraordinary and makes it "hyper-extraordinary. But before I go further I will warn you, constant reader, that while this book has a lot going for it, it also seems to lack that big extra scary "umpf" that only King does so well. While there were no super scary moments the book is still a great, fun read. No, I take that back, what could be more scary than paintings coming to life and a spirit known as Perse drowning children and sending their ghosts back to make sure she lives forever. I think what it is, is that I have built up a Stephen King tolerance, and nothing scares me like Pennywise the Clown or Jack Torrance. Okay let's talk about Duma Key. This latest novel starts with the life of Edgar Freemantle going through a major life changing event. Edgar is a 57 year old contractor that is involved in a terrible accident which involves a large crane smashing into his truck. Edgar loses his right arm and suffers severe head trauma. He spends some time in the hospital in a coma and when he wakes he finds it difficult to communicate and unable to control his temper. His psychologist suggests a little doll for him to focus his anger upon. Edgar's wife soon asks for a divorce after he tries to choke her (this is one of the many things Edgar doesn't remember doing). 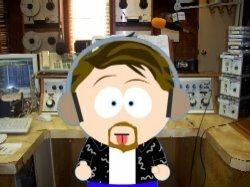 The psychologist then recommends a change of scenery and to take up a hobby. Edgar used to draw so he decides to take up painting, but before doing so he decides to move from Minnesota to one of the Keys in Florida, Duma Key. 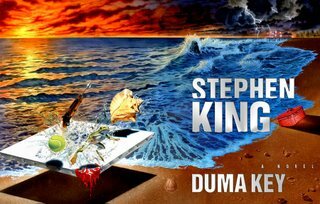 On Duma Key, Edgar's paintings take on a supernatural feel and even the process becomes supernatural with the paranormal phantom limb from his missing arm. It is on Duma Key where Edgar meets Jerome Wireman, Wireman to his friends. Wireman is a former attorney who once tried to take his own life after losing his wife and daughter. Wireman is now a caretaker for Elizabeth Eastlake, an eccentric old woman who is a native of Duma Key, and possibly owns the whole Island. After Edgar's daughter comes down for a visit, Elizabeth warns him that Duma Key has never been a good place for daughters. And thus the story begins to unfold. Twin sisters drowning, a mysterious spectre that seems to come from the bottom of the ocean and the mysterious ship of the dead, "The Perse." Now Edgar, his assistant Jack and Wireman must destroy Perse. To do so will not be an easy task. Perse works through Edgar's Paintings and he becomes an extremely popular artist and everyone wants his art. His art also is supernatural in that just by panting when the phantom limb is throbbing he can make what he paints become reality, like killing a man that rapes and kills a child by simply painting the man with no mouth or nose. Perse goes after Edgar's family and the war is on. Earlier I said this book wasn't a huge scare factor for me, but then again I am proud to say I've read every book that has been published by Stephen King, and I have built a tolerance. But the saving grace for this book was the excellent characters that were written, especially Wireman. Wireman is full of great lines that could be great ways to lead the perfect life. Between the idioms of Wireman and the inner turmoil of Edgar Freemantle, this book is a fun read. All Stephen King fans should read this book, and non-King fans will enjoy the great dialogue between the characters and the great descriptions of the artwork by Edgar plus the extra chills thrown in to remind you, Stephen King wrote this.